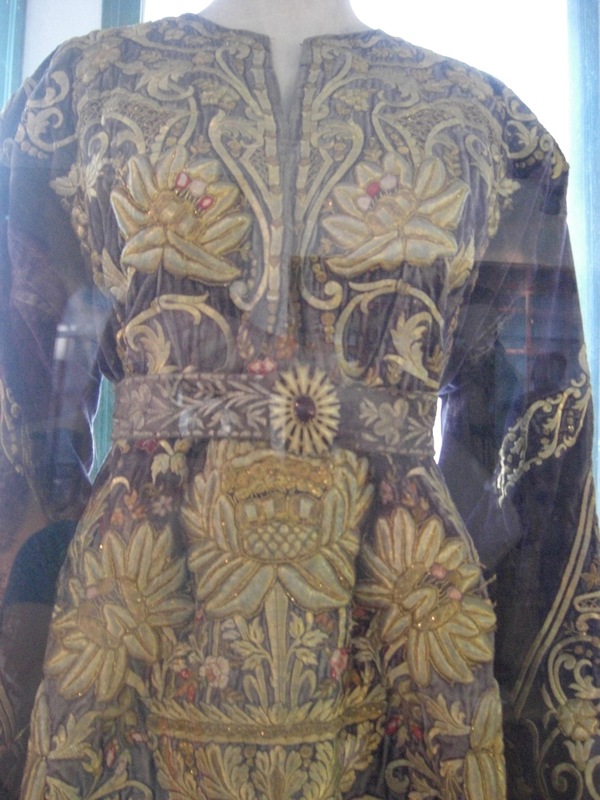 Mary Ward Week 2019 is here! 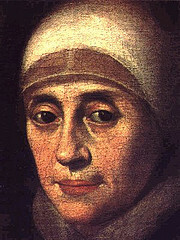 From January 23rd to 30th we reflect on the life of Mary Ward and what her life means for the women of her Institute. 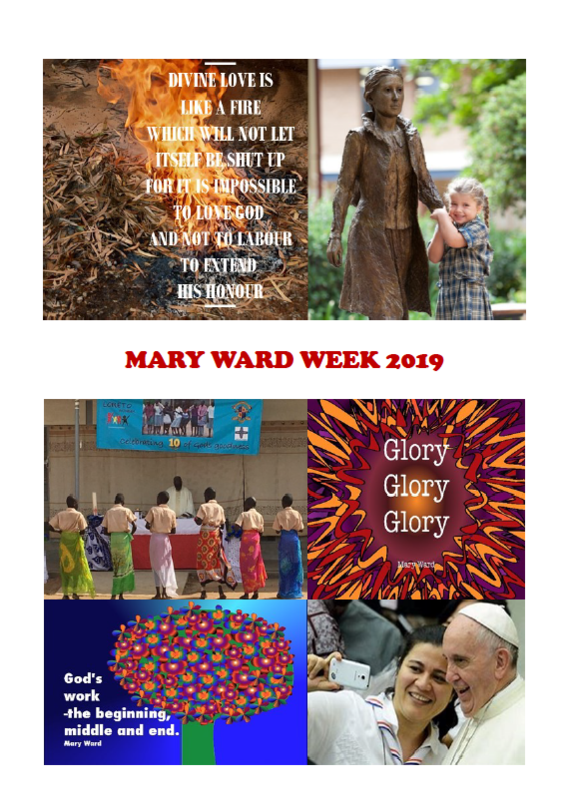 You are invited to reflect and pray with us using the Mary Ward Week 2019 Reflection Booklet. Martin Luther King, Jr. is remembered today in the United States. I am a relative latecomer to his sermons but I have been deeply moved by the power of his rhetoric. My favourite of his sermons is “Paul’s Letter to American Christians”. In it, he speaks as the Apostle Paul, offering a critique of American society. His words continue to resonate and are significant for many societies around the world, including Canadian society. I’d like to share an excerpt from that sermon. Its words speak to my heart and are needed more than ever in today’s world where so many of our actions emerge from a place of fear rather than a place of love. This excerpt is taken from “Paul’s Letter to American Christians” found in the anthology Strength to Love published by Fortress Press. American Christians, you may master the intricacies of the English language and you may possess the eloquence of articulate speech; but even though you speak with the tongues of men and of angels, and have not love, you are like sounding brass or a tinkling cymbal. You may have the gift of scientific prediction and understand the behaviour of molecules, you may break into the storehouse of nature and bring forth many new insights, you may ascend to the heights of academic achievement, so that you have all knowledge, and you may boast of your great institutions of learning and the boundless extent of your degrees; but, devoid of love, all of these mean absolutely nothing. But even more, Americans, you may give your goods to feed the poor, you may bestow great gifts to charity, and you may tower high in philanthropy, but if you have not love, your charity means nothing. You may even give your body to be burned and die the death of a martyr, and your spilled blood may be a symbol of honor for generations yet unborn, and thousands may praise you as one of history’s supreme heroes; but even so, if you have not love, your blood is spilled in vain. You must come to see that a man may be self-centred in his self-denial and self-righteous in his self-sacrifice. His generosity may feed his ego and his piety his pride. Without love, benevolence becomes egotism and martyrdom becomes spiritual pride. The greatest of all virtues is love. Here we find the true meaning of the Christian faith and of the cross. Calvary is a telescope through which we look into the long vista of eternity and see the love of God breaking into time. Out of the hugeness of his generosity God allowed his only-begotten Son to die that we may live. By uniting yourselves with Christ and your brothers through love you will be able to matriculate in the university of eternal life. In a world depending on force, coercive tyranny, and bloody violence, you are challenged to follow the way of love. You will then discover that unarmed love is the most powerful force in all the world. 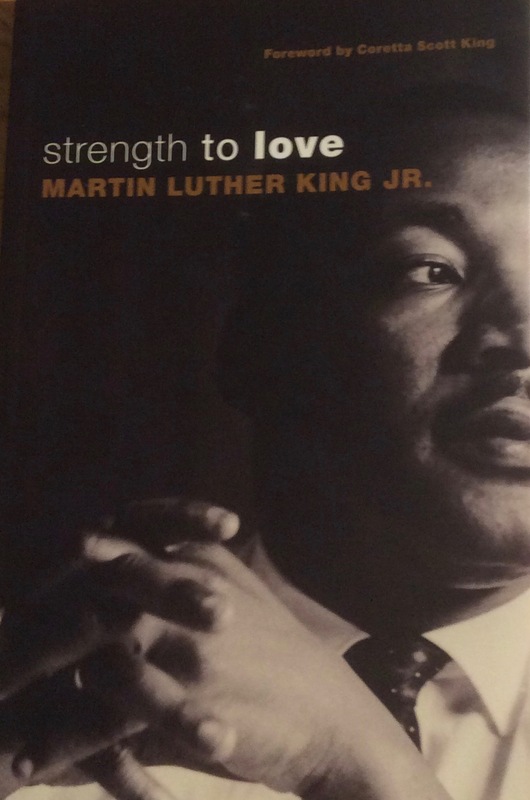 Categories: Reflection | Tags: #God, #love, #MLK, #TheWayofLove | Permalink. 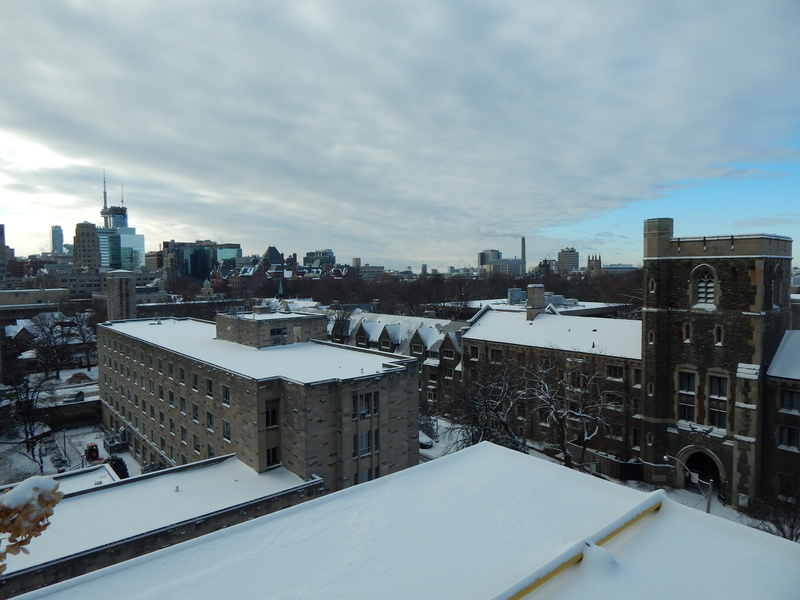 It has been snowing, off and on, this weekend. 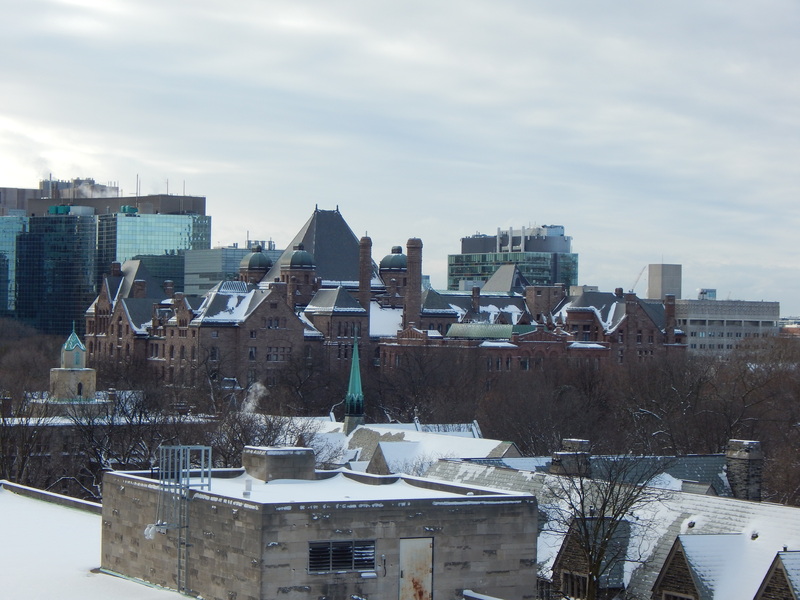 The first real snowfall of winter in Toronto. It’s finally really cold. -15C, feeling like -25C with the windchill. I’ve been waiting for this weather to feel as though winter is properly here. When I lived in Calgary, and then in Ottawa, winter was a real presence, showing up sometimes too early in the fall, and often staying past its welcome. But I always enjoyed the cold, even when I complained about it; its sharpness and chill make me feel more alive and invigorated than summer heat. Living downtown we don’t get much snow. It falls and doesn’t stick around for long. 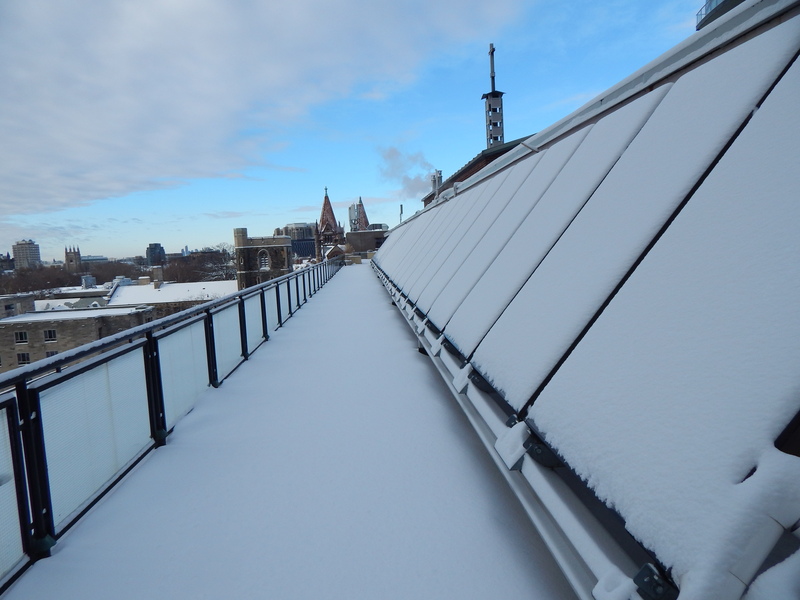 So this morning I went up to our roof with delight, desiring to photograph the snow while it was still fresh and clean and white. 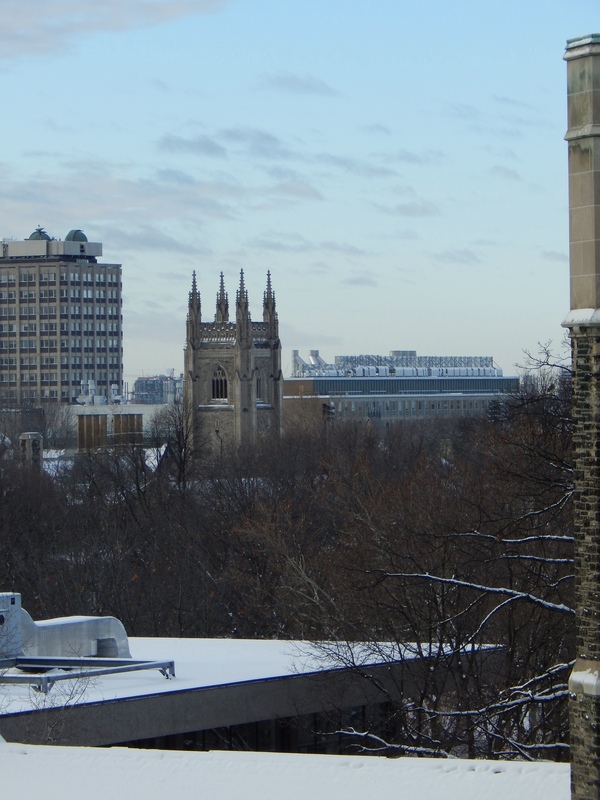 I wanted to try to capture something of the frost-bitten rooftops of the university campus that I view from my window. When I downloaded the photos to my laptop, I was taken aback. 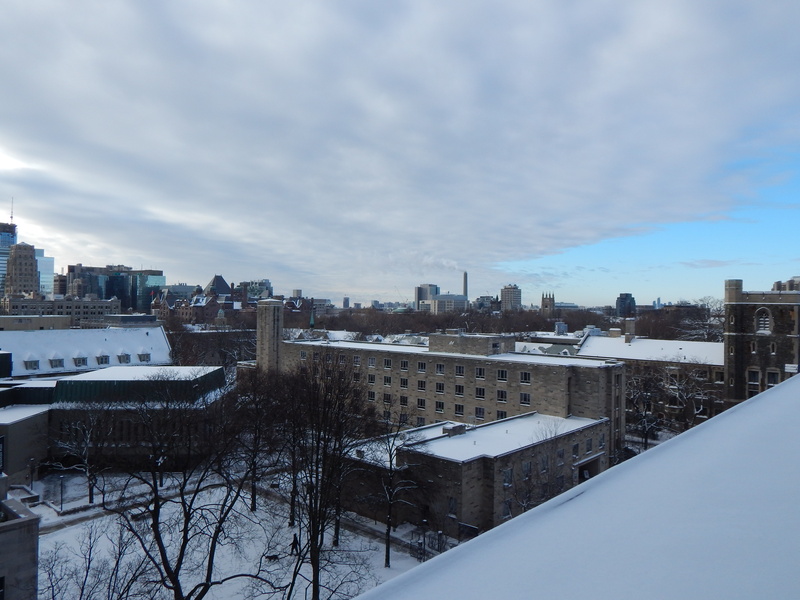 So busy looking at the snow, wanting to see if my camera could capture its crystalline essence, that I didn’t look above and notice the dramatic beauty of the dazzling blue sky and drifting clouds. How often do I miss the beauty that fills each day? 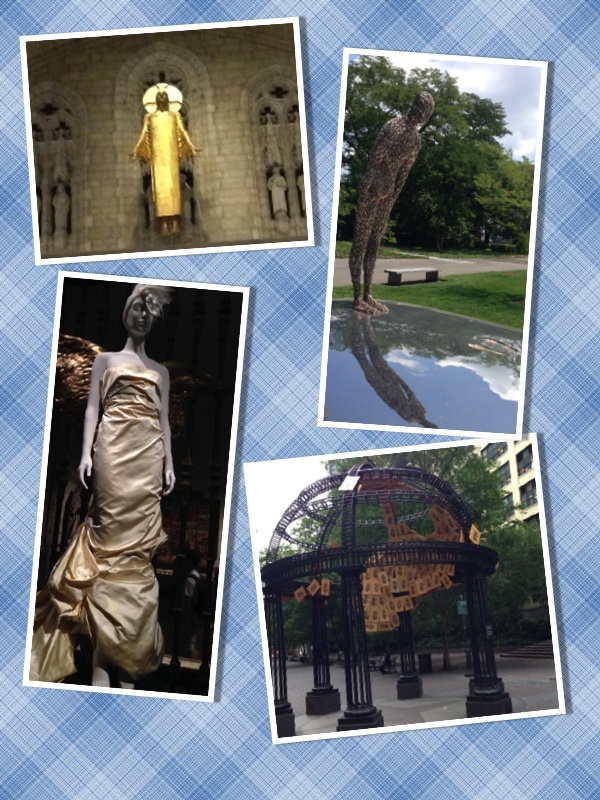 Categories: #IBVM, Exploring Toronto, Life at Loretto College | Permalink. I’ve taken a break from writing my blog for the past couple of months. I’ve been immersed in my theology studies and activities at school and in community. Life has been so rich in the living of it that I haven’t felt compelled to write about what has been going on. But I’ve started to feel that longing again to write, so I will continue as I can amidst the hustle and bustle of life. 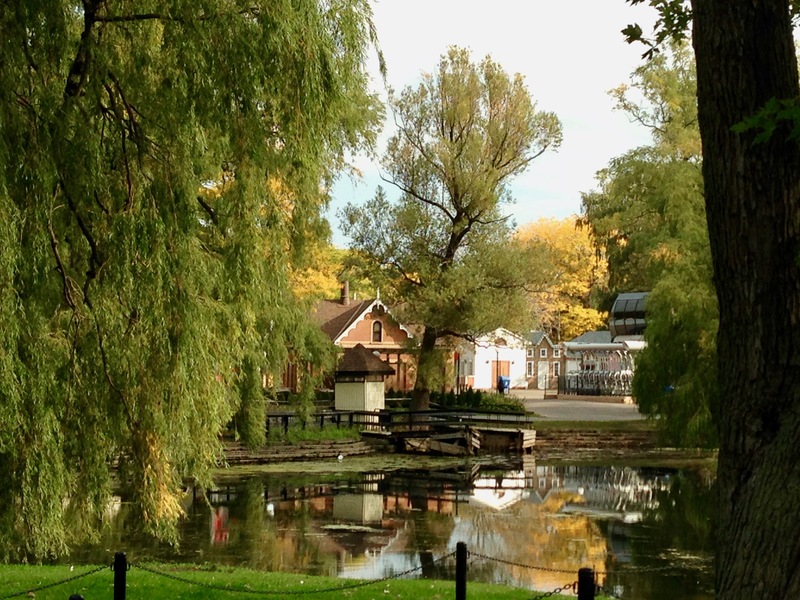 Centre Island amusement park closed up for the winter. One of the great treasures I have been enjoying is the gift of friendship. I feel very wealthy in friends these days, which is a big shift from when I moved to Toronto four years ago and knew practically no one. Bit by bit, I have met a wonderful miscellany of people – at school, in the community, and through various ministries – and I have been blessed to make a number of good friends. People who ask interesting questions, who laugh with me, and who challenge me to try new things and to see life from different perspectives. 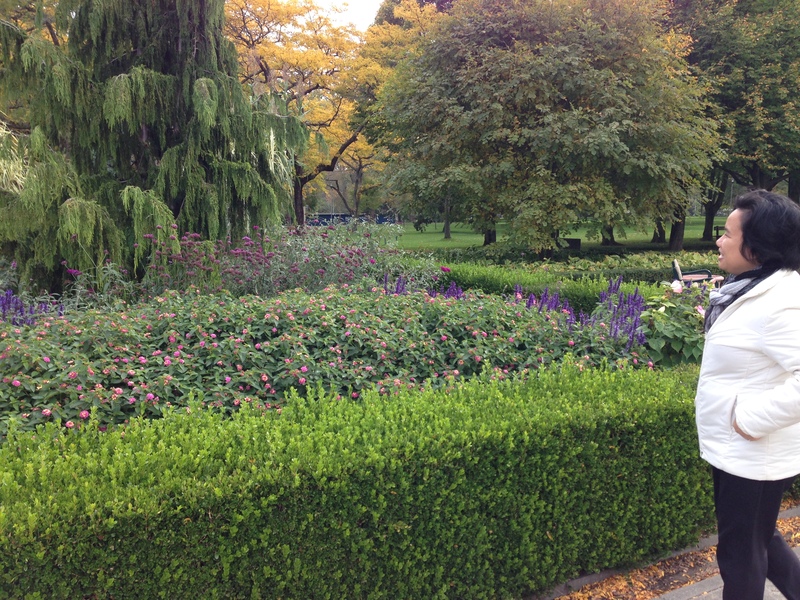 Petite admiring the Canadian autumnal flora. At home, I feel especially blessed by friendship. I have been growing deeper in friendship with the younger sisters who are living in the Loretto community – Melinda, Maria, and Petite. I feel such a shift in my heart these past few months. After feeling lonesome for so much of last year, lonesome for peer relationships, and female friendships, in particular, I find myself gifted with these fantastic women and a joyful solidarity. 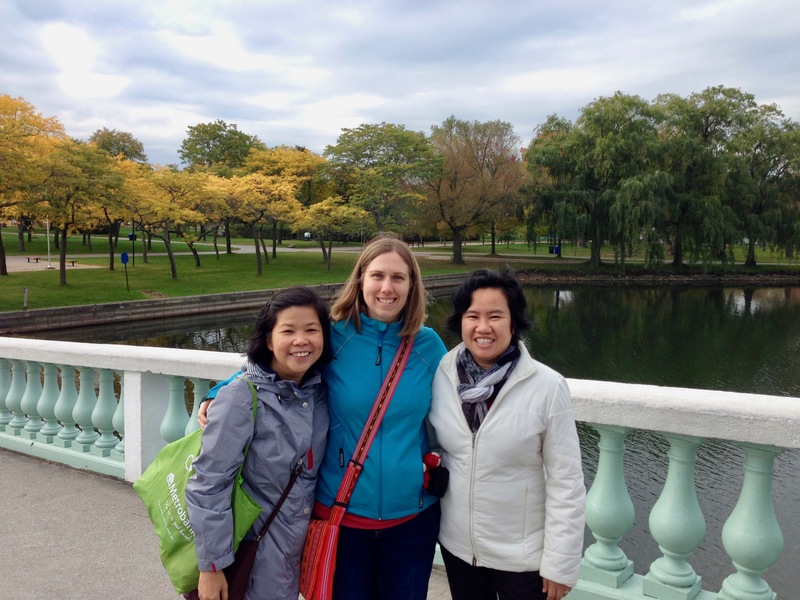 A couple of weeks ago we went out to Centre Island to enjoy the autumn day. 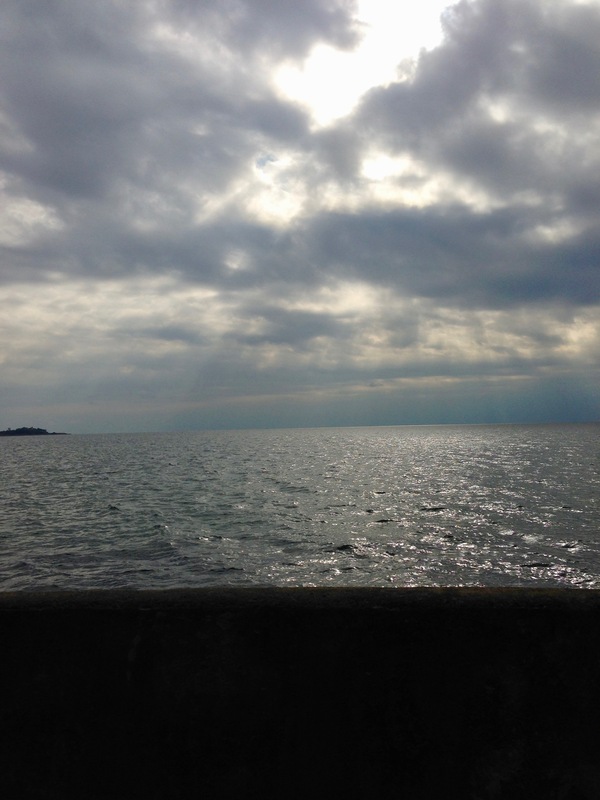 It was a great adventure – a time for spiritual conversation, laughter, and discovery. Being with these women made me think of Mary Ward, who was ‘apt for friendship’ and who said, ‘Let thy love be at all times rooted in God and then remain faithful to thy friend and value him highly, even more highly than thy life’. 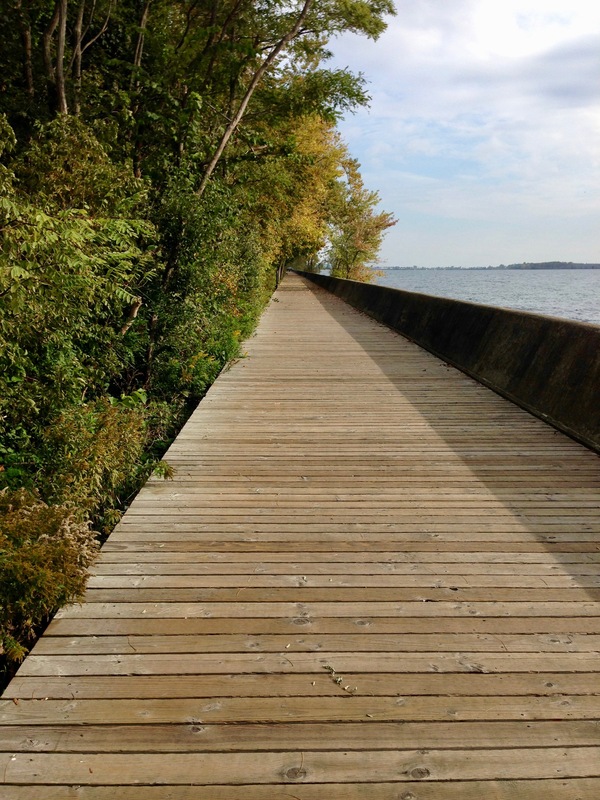 Following the boardwalk to Ward’s Island. And coming home at dusk a different way. Cloud-and lake-scape melting into one. Categories: #IBVM, #MaryWard, Exploring Toronto, Life at Loretto College, Temporary Vows | Tags: #aptforfriends, #Friendship | Permalink. 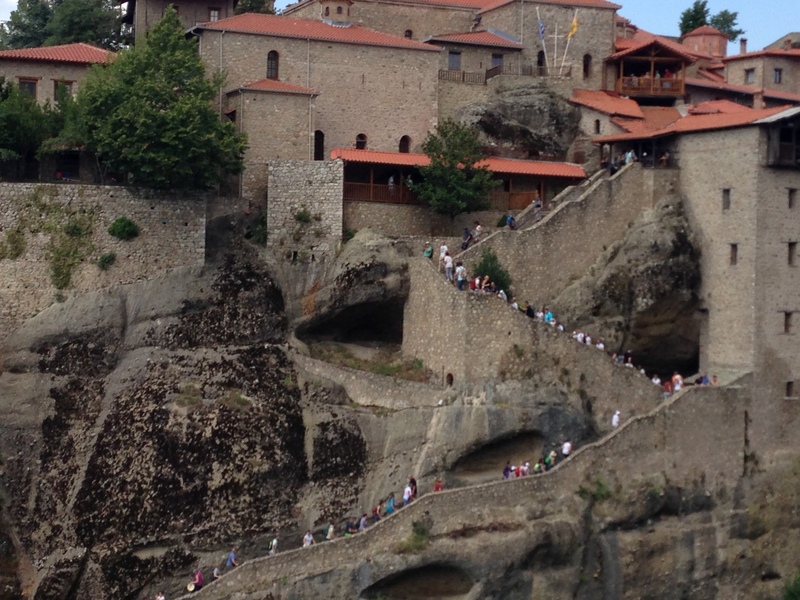 From Meteora, we travelled to Ioannina, a city in Northern Greece that tradition holds was founded by Byzantine Emperor Justinian in 6thcentury C.E. 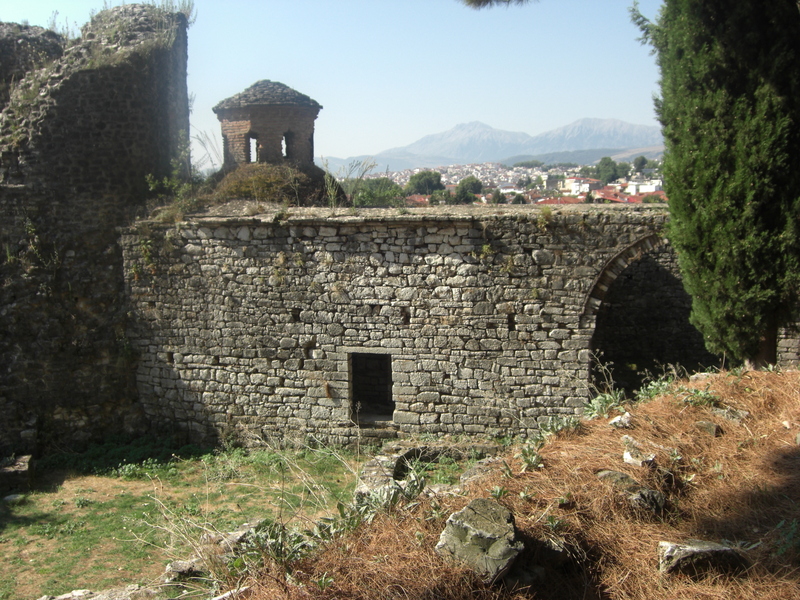 Ioannina flourished in the late Byzantine period (13th–15th centuries). 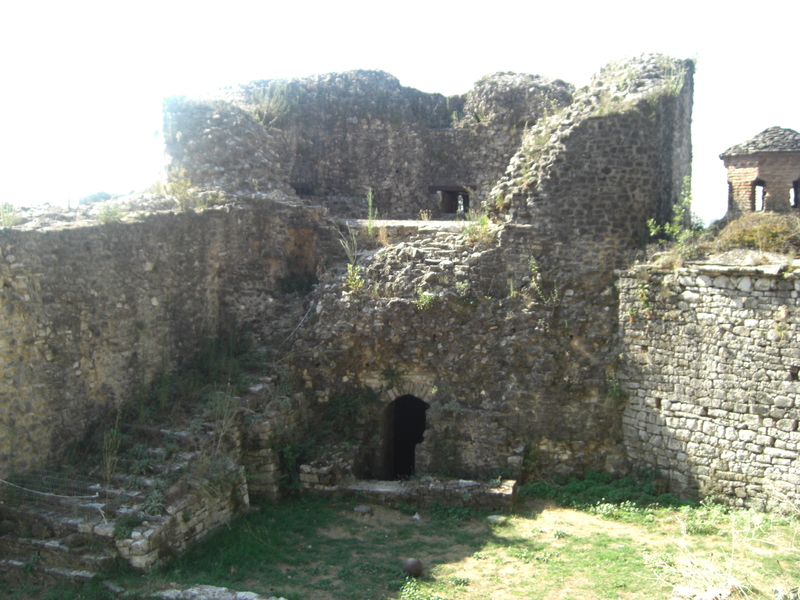 Ioannina surrendered to the Ottomans in 1430 and there is a strong Turkish influence that can be seen today. 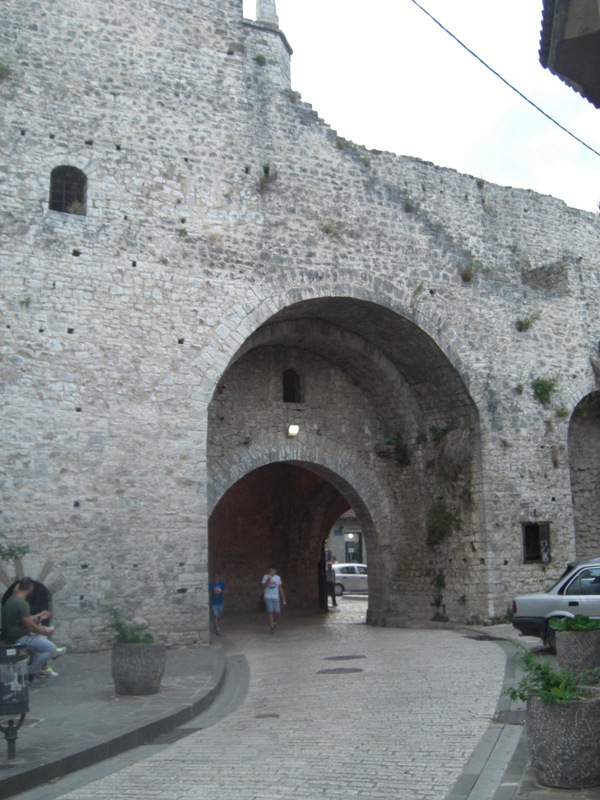 The walls of the old city. 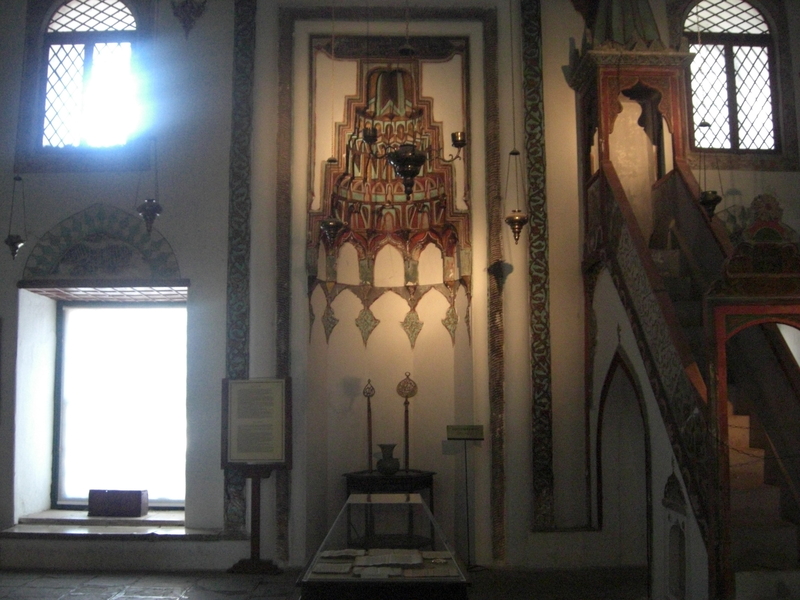 The main area of the mosque, once used for prayer. 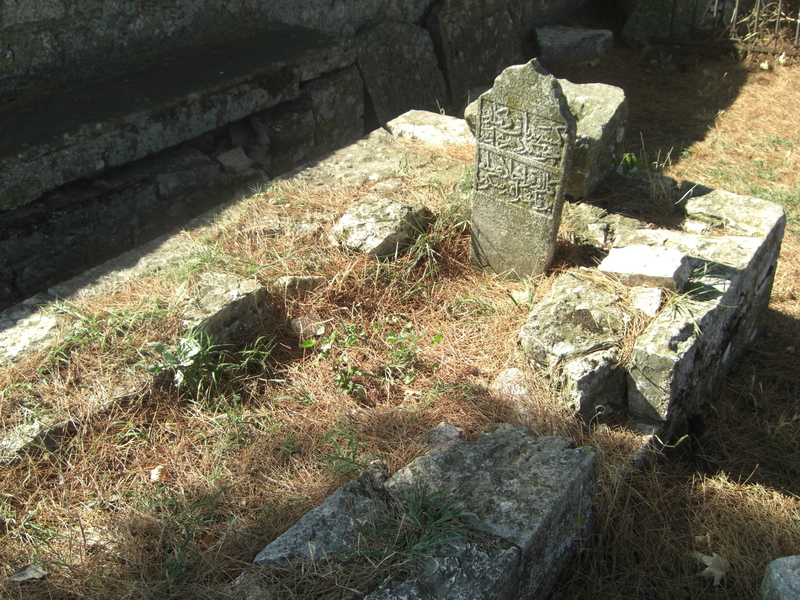 The grounds of the museum contained beautiful stone structures, now mostly abandoned, and a small graveyard. Unfortunately, I don’t have any photos of Vergina. 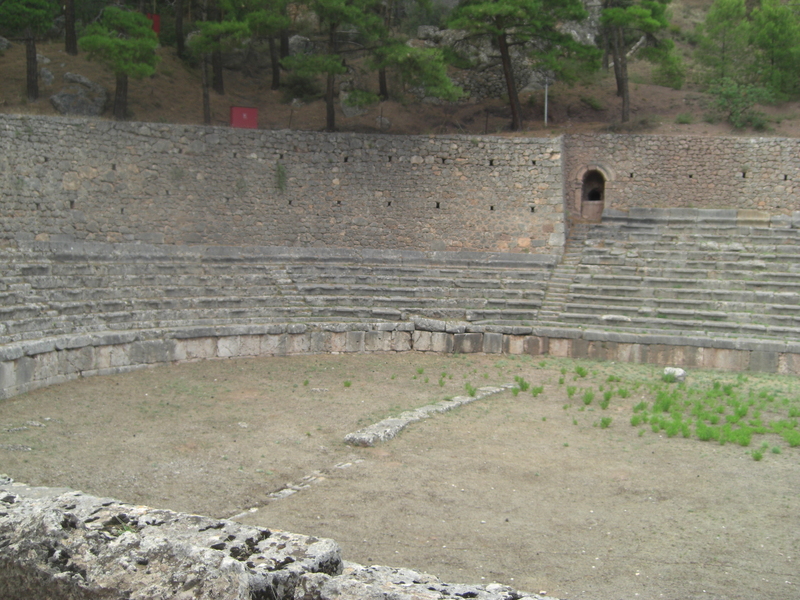 We stopped here on our way to Makrinitsa to visit the tomb of Philip II (the father of Alexander the Great). 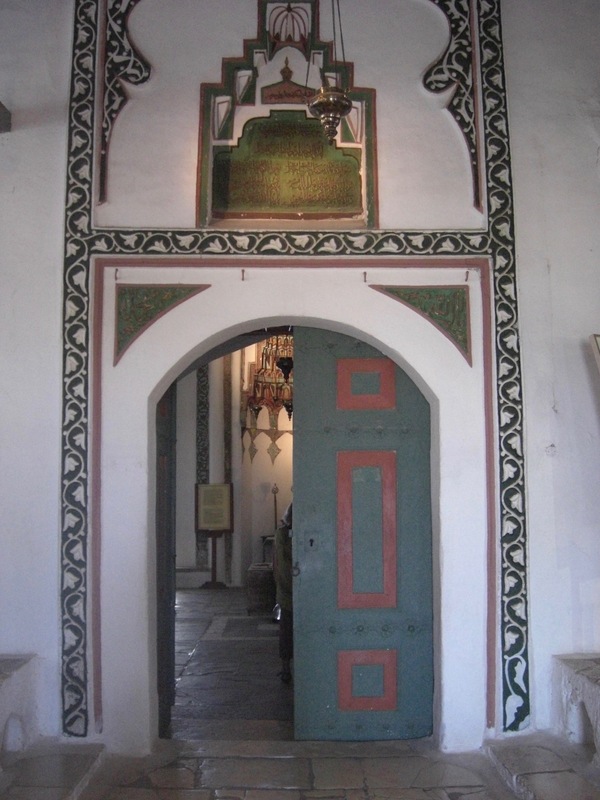 The site has a fantastic museum showcasing the many artifacts that were discovered intact within the tomb. 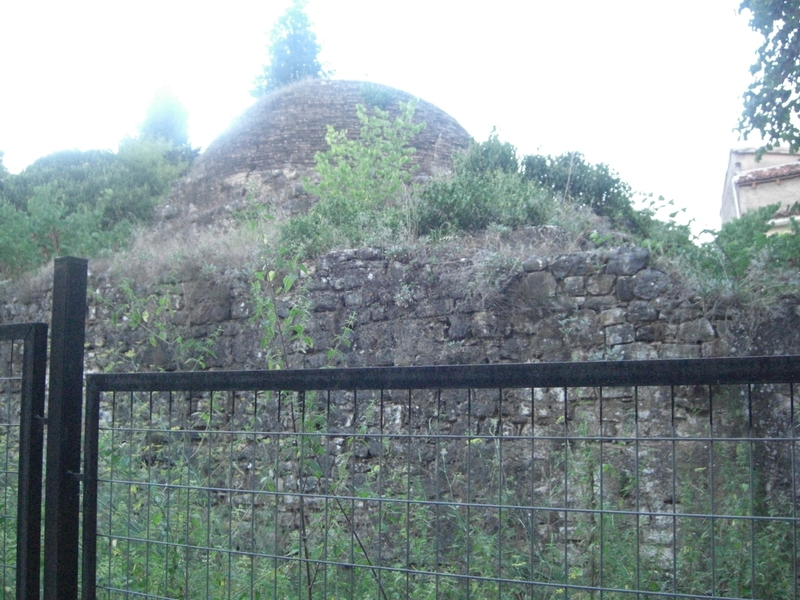 It sheds light on ancient burial customs and beliefs. Check out Aigaiand the archeological site. 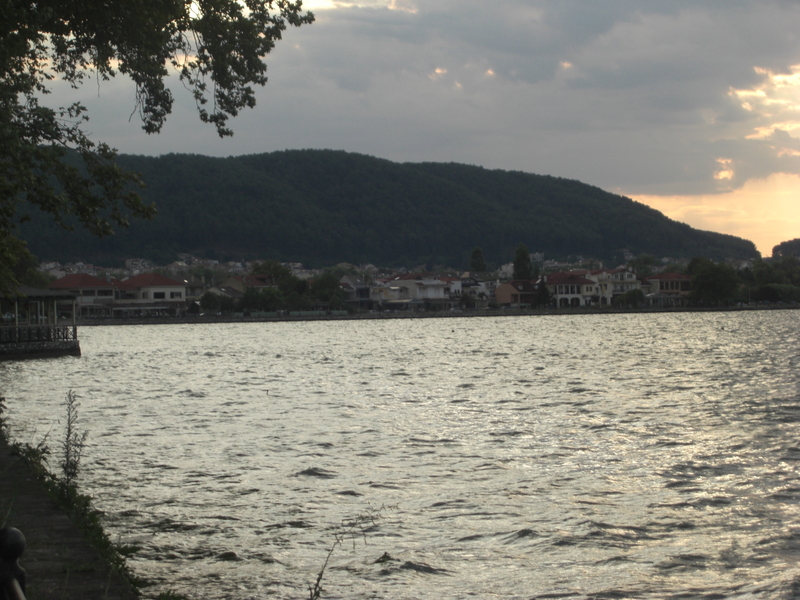 Categories: family, Travels | Tags: #FamilyTime, #Greece, #holiday, #Ioannina | Permalink. Last week I arrived home from holiday. 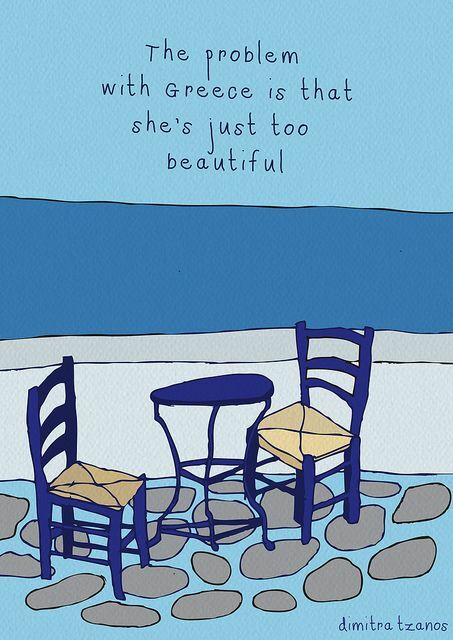 I spent two glorious weeks in Greece with my dad and stepmom. It was the best holiday I have taken in many, many years. The perfect blend of activity and rest. 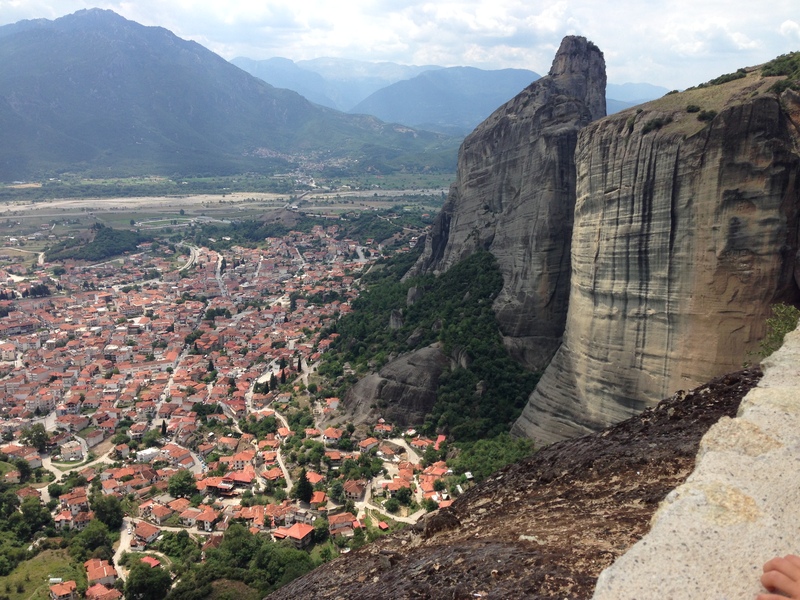 We took an incredible road trip and visited Delphi, Meteora, Ioannina, Vergina, Makrinitsa and Pelion, and Athens. Then we spent over a week together on the island of Kea, just relaxing and enjoying the sun and sea, swimming, sunbathing, eating bread from the fournos, reading, playing rummy, tending kittens, sipping ouzaki, and exploring the ancient sites of the island. I returned home rested and renewed, grateful for the precious time spent with the people I love most. 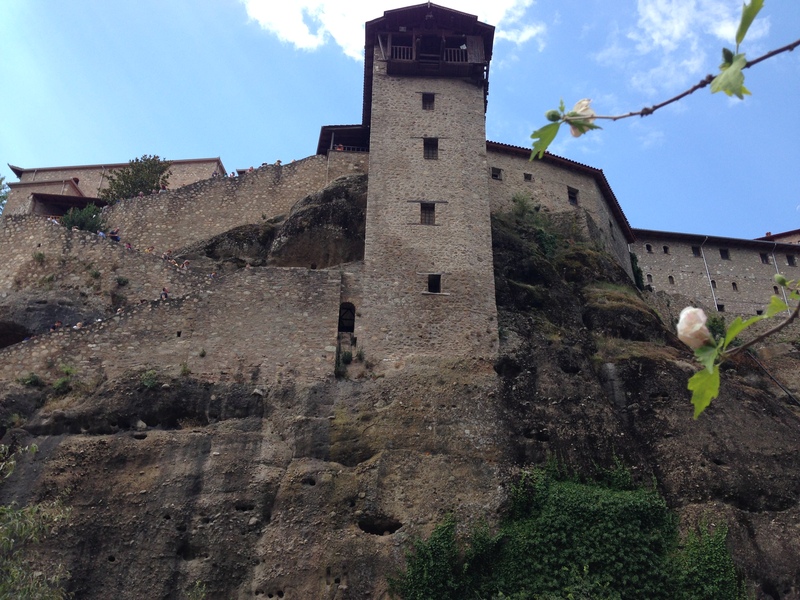 Over the next few posts I will share some highlights from the places we visited. 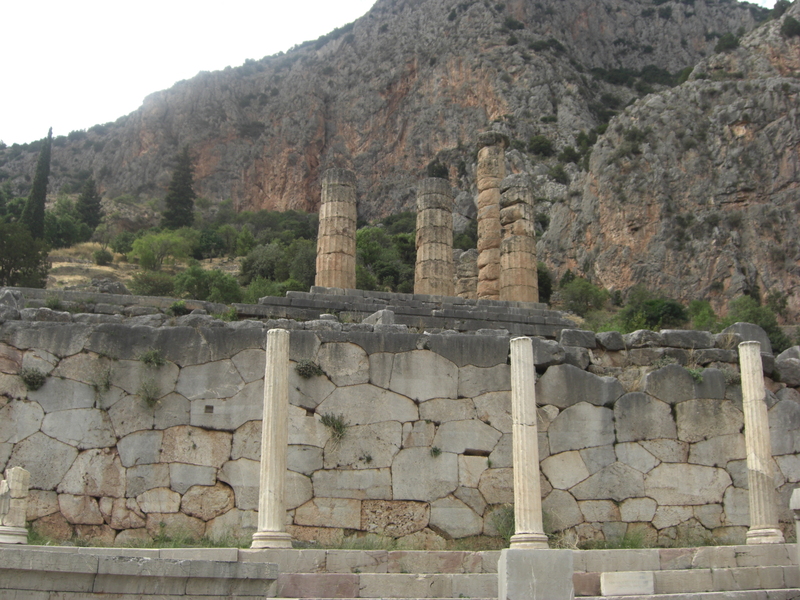 Our first stop was the archeological site of Delphi, with the famous oracle of Apollo. 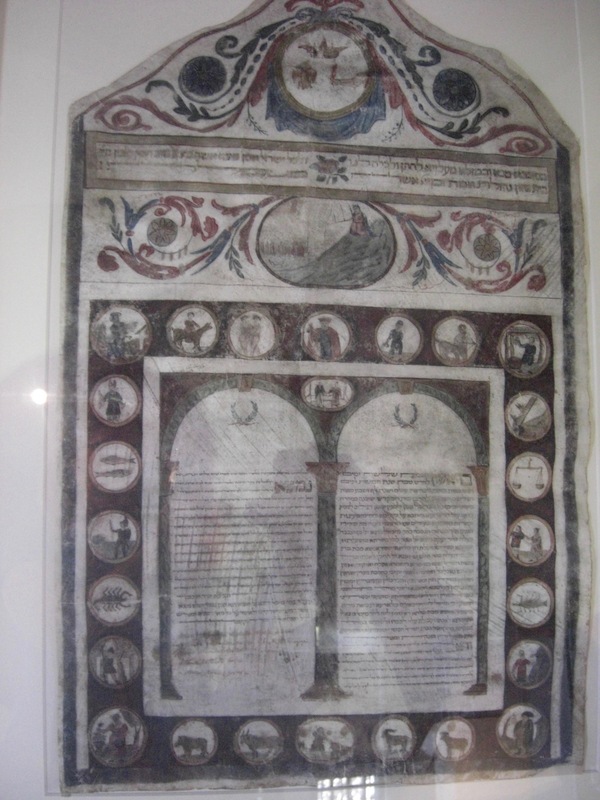 In the 6th century B.C.E, Dephi was an important religious centre in the ancient Greek world. 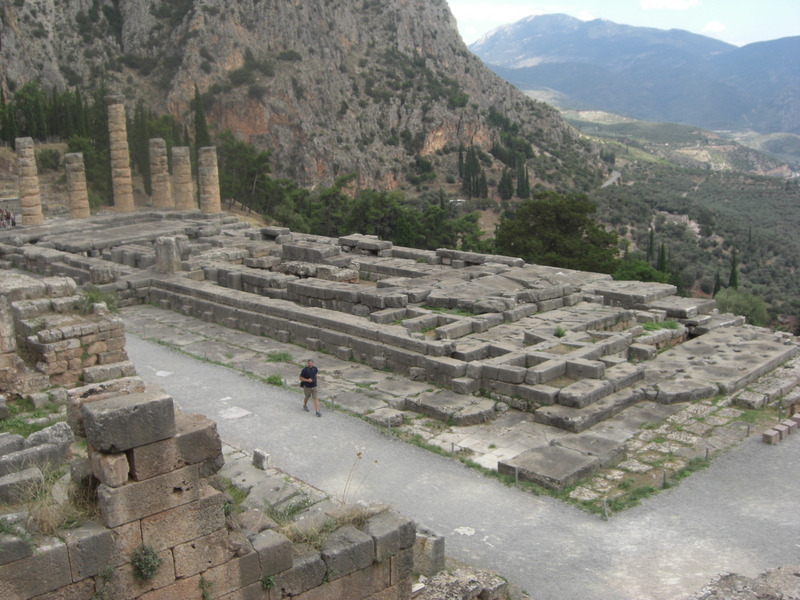 According to mythology, Delphi was understood to be the meeting point of two eagles released by Zeus, one in the east and one in the west. 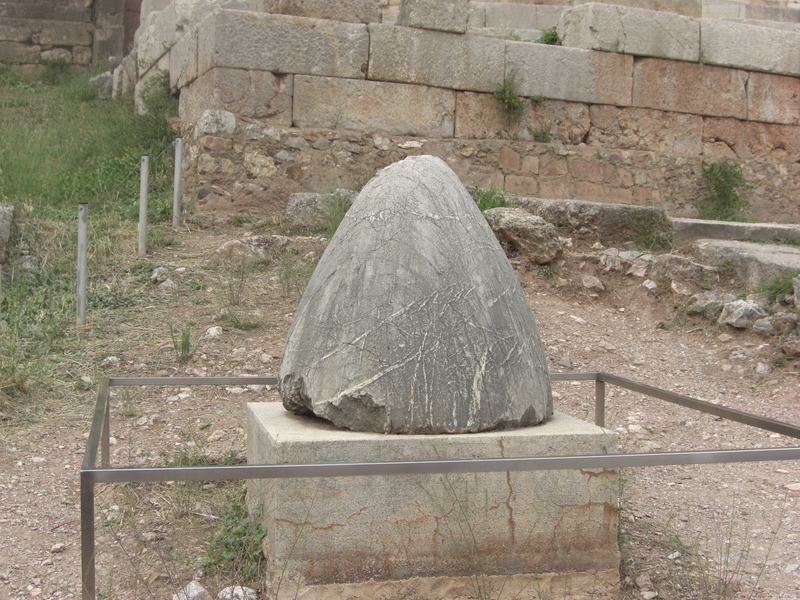 One of the ancient treasuries at Delphi. 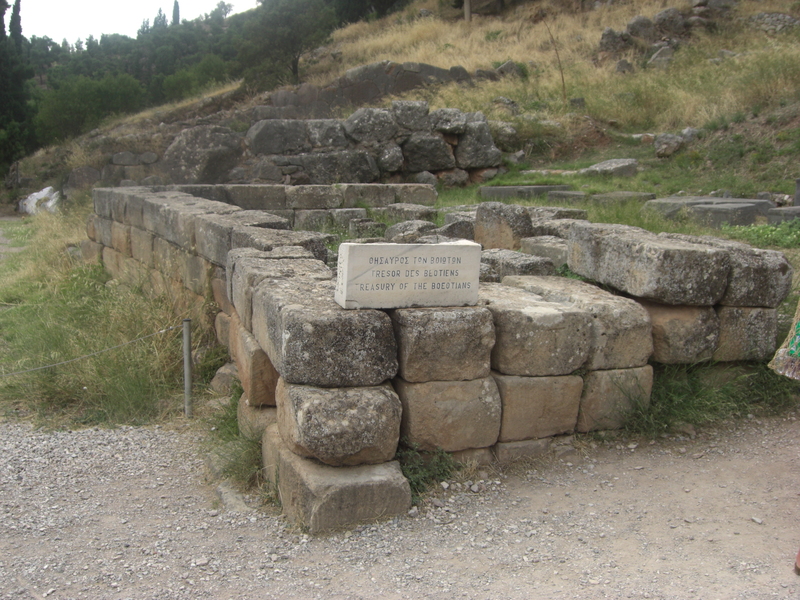 The site of the ancient oracle of Apollo. 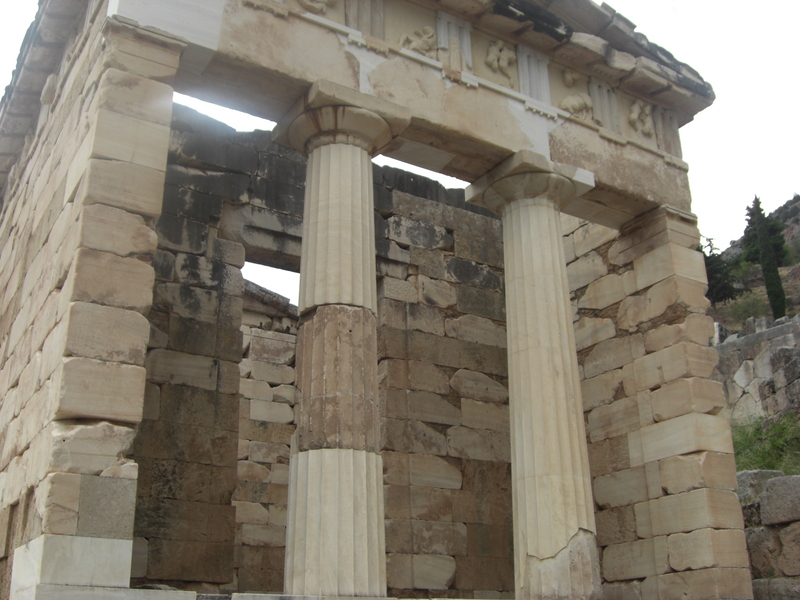 Looking up at the remains of the Temple of Apollo. 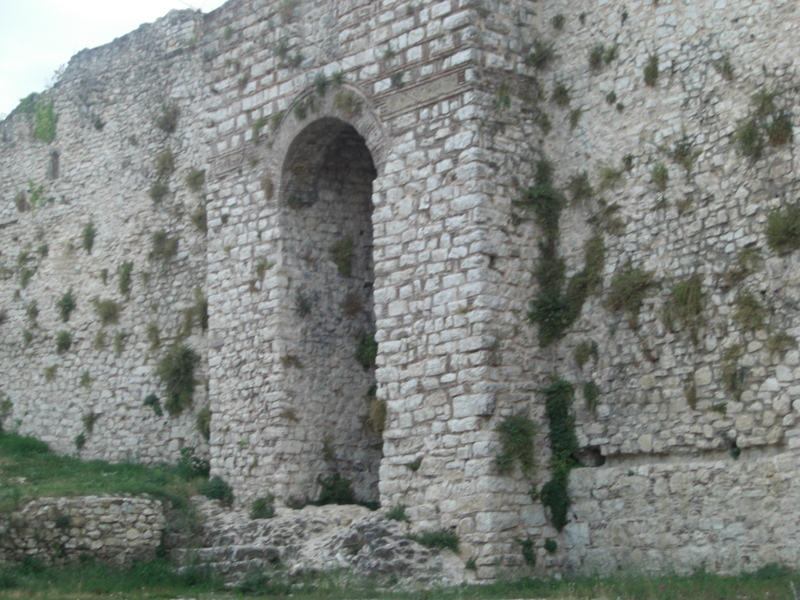 The remains of the Temple of Apollo. 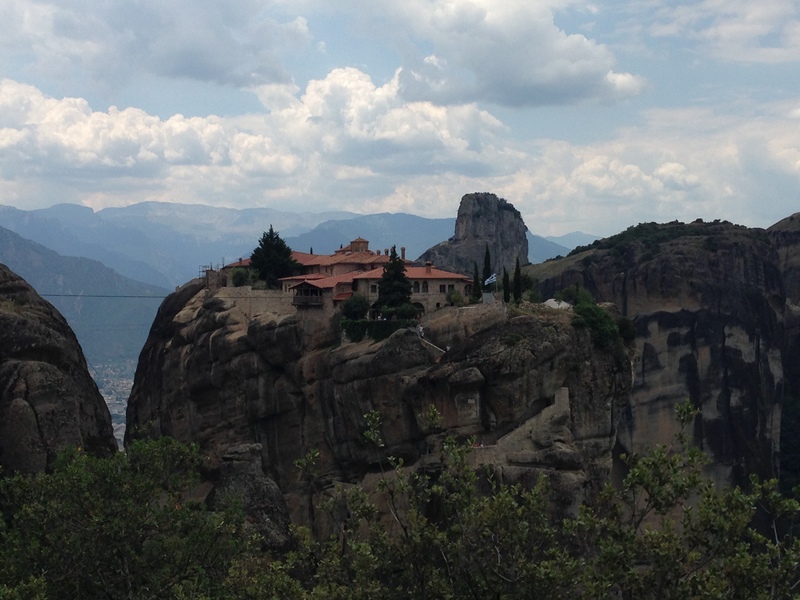 High atop the cliffs, six (of an original 24) Greek Orthodox monasteries are precariously perched. 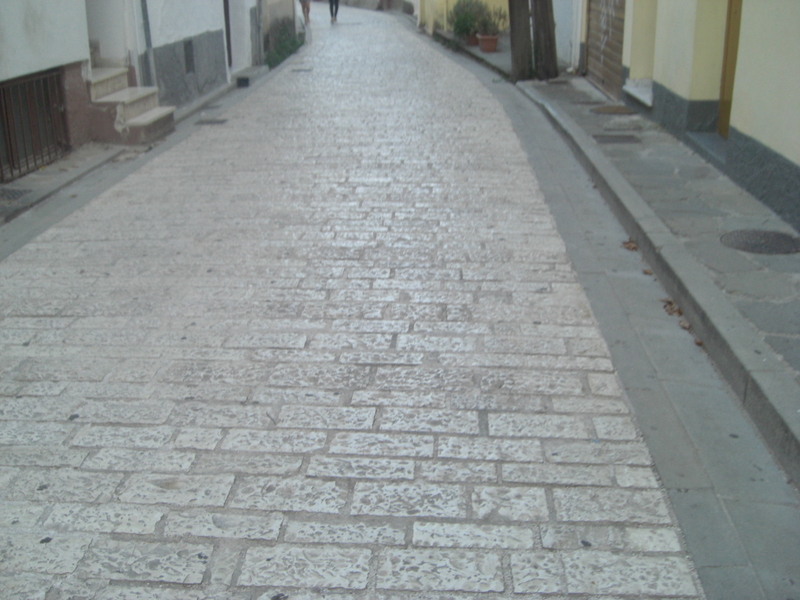 Most are no longer inhabited although the two nunneries (convents) still house orders of nuns. 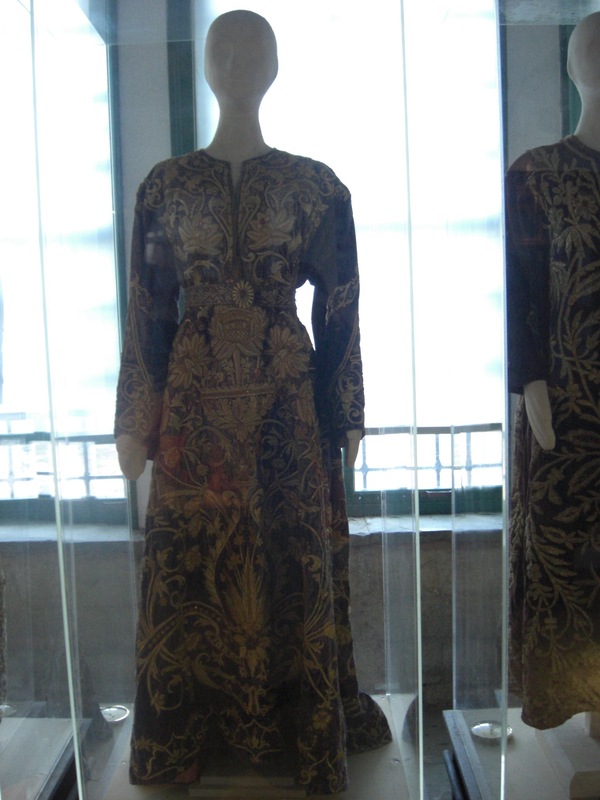 It is thought that the monasteries were established sometime in the 14thcentury C.E. 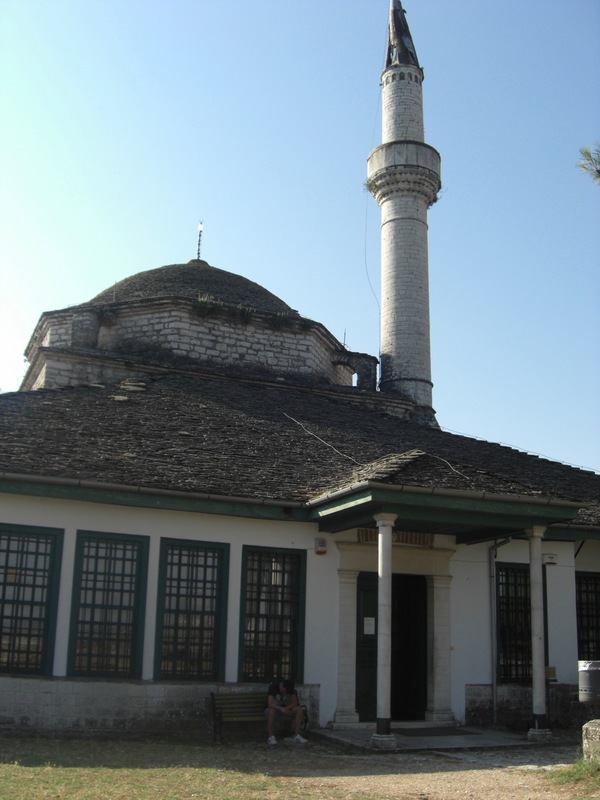 to provide refuge from invading Turks. 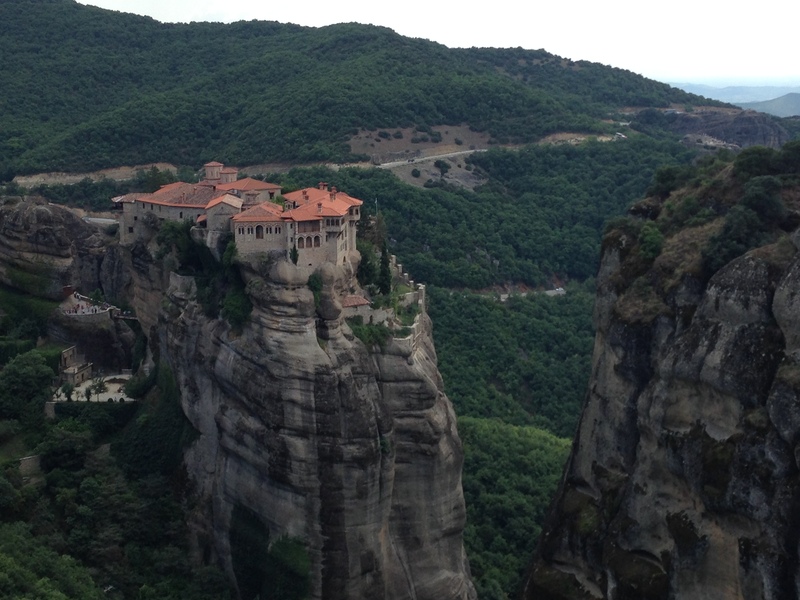 This is a spectacular place to visit (though the treks up to the monasteries are arduous!) and the views are incredible. 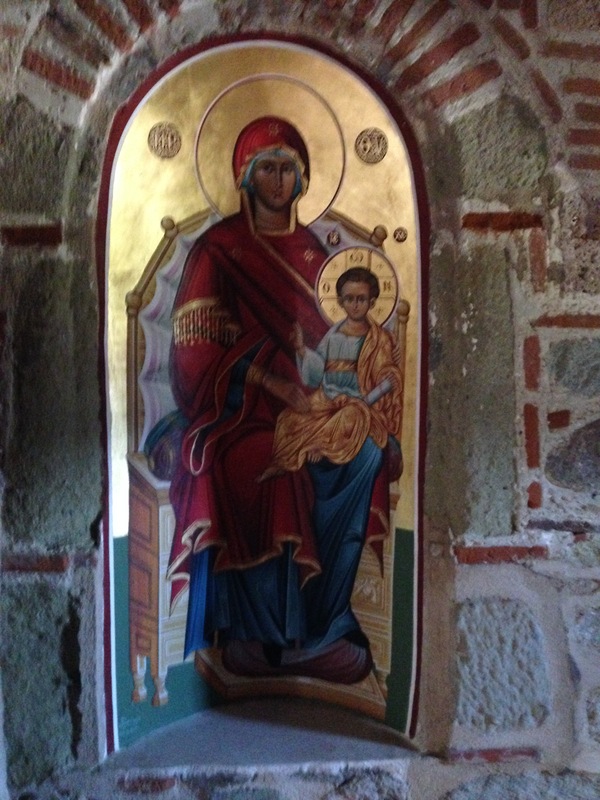 My favourite monastery was the Monastery of the Holy Trinity. 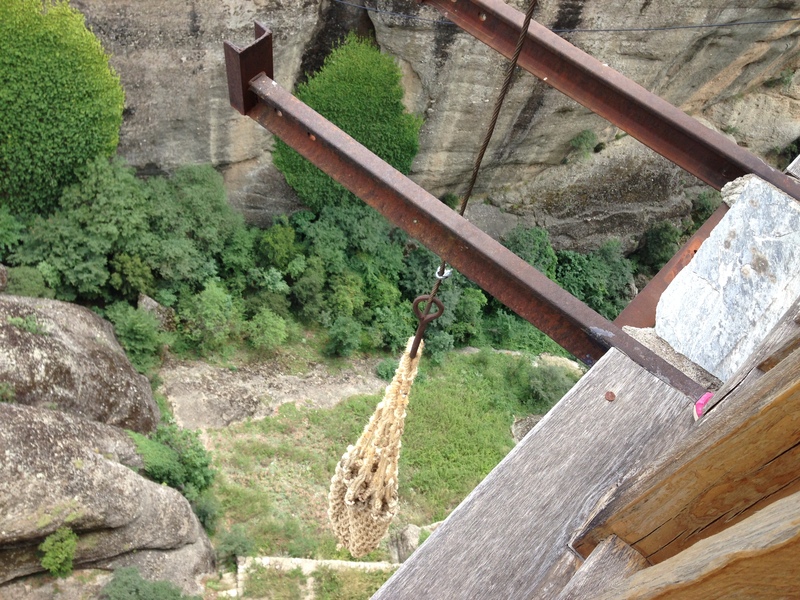 Climbing up the Grand Meteora. The views from the top. 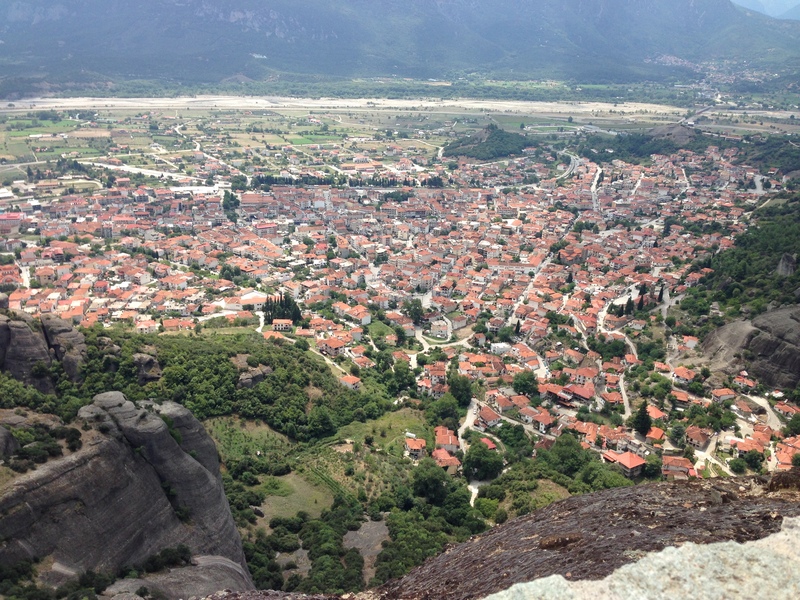 Kalambaka, the town nestled at the feet of Meteora. The Monastery of the Holy Trinity. Just imagine bringing up supplies in a basket like this! 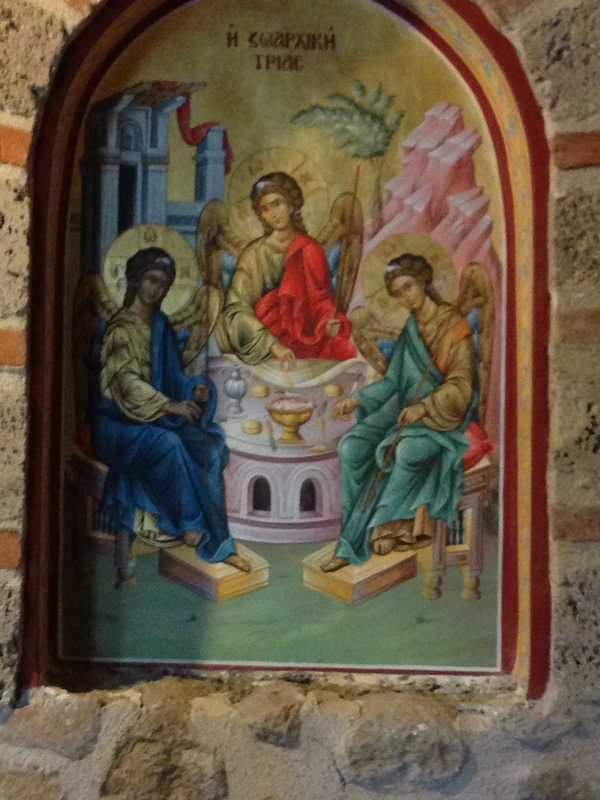 An icon of the Holy Trinity of God. 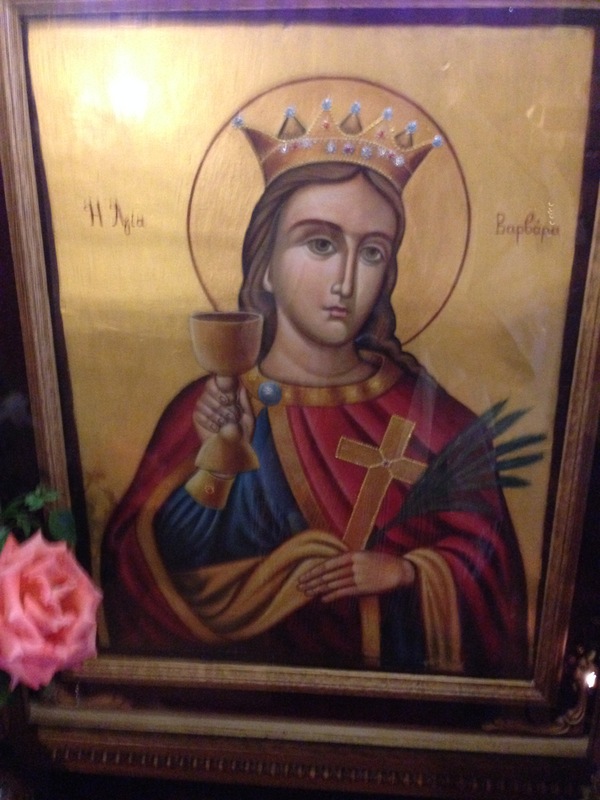 St. Barbara, patron saint of the Greek artillery. 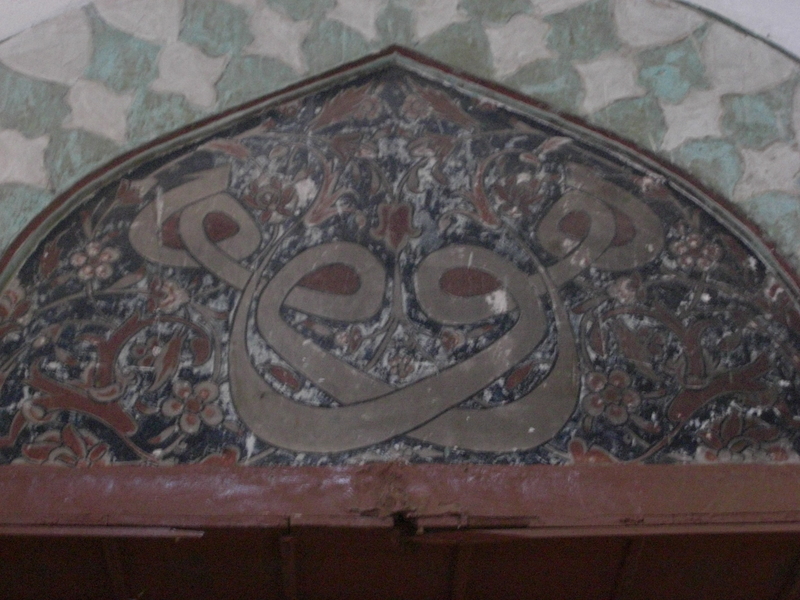 From the Roussanou Monastery (nunnery). 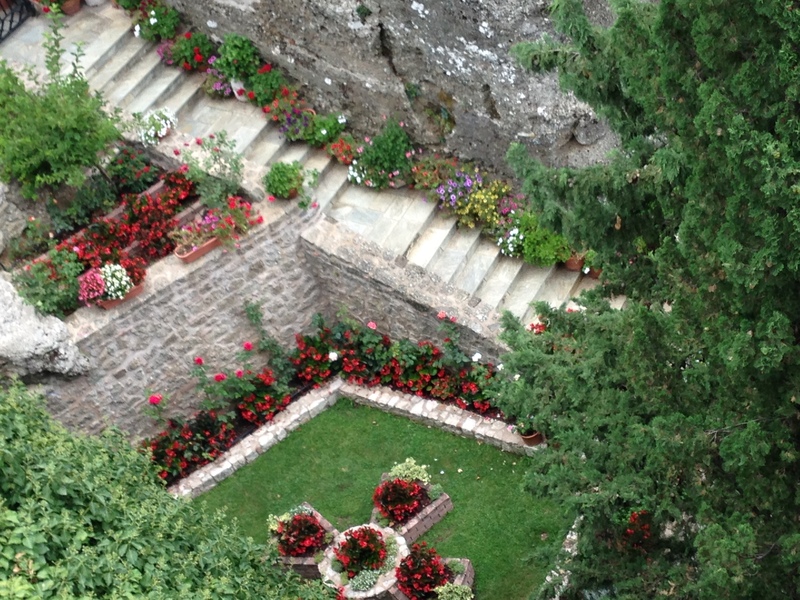 The secret garden at Roussanou! 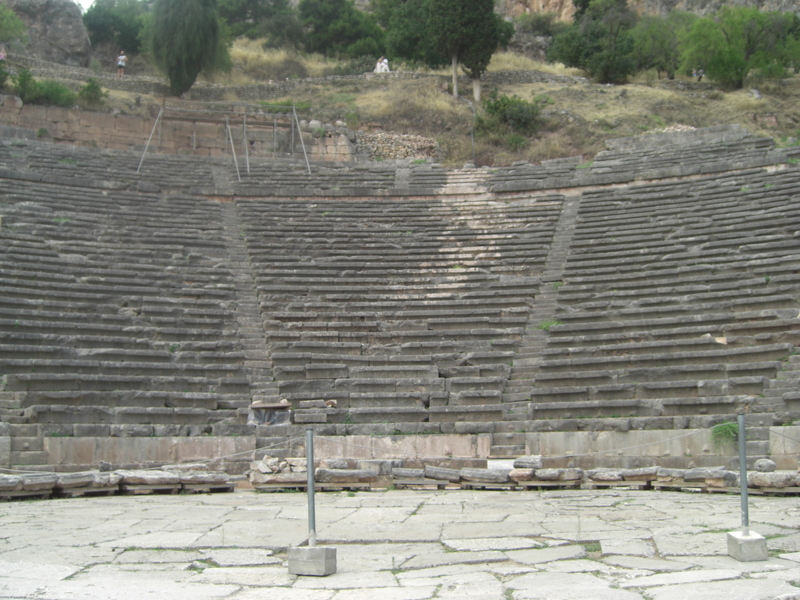 Categories: Travels | Tags: #Greece, #holiday, #vacation | Permalink. It’s time to say goodbye to my favourite city. The past three weeks in New York City have been a total joy. I am deeply grateful to Cecilia and Cynthia in our NGO office to making the arrangements for me to attend the High Level Political Forum. And I am grateful to my formation director, Mary, for allowing me to pursue this opportunity. It has been incredible. This year I am aware that I leave New York City having received many blessings. 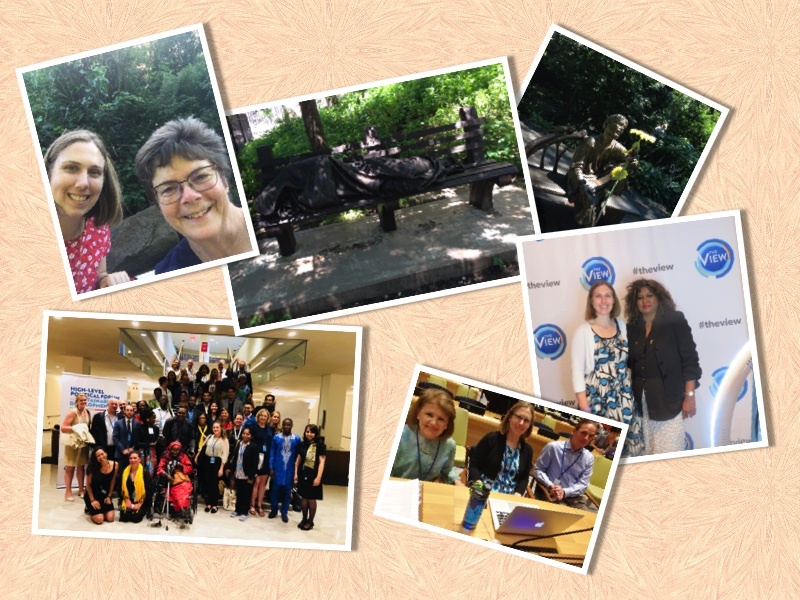 The blessing of personal renewal through my engagement at the UN and the chance to do something I love and learn about issues I am passionate about. 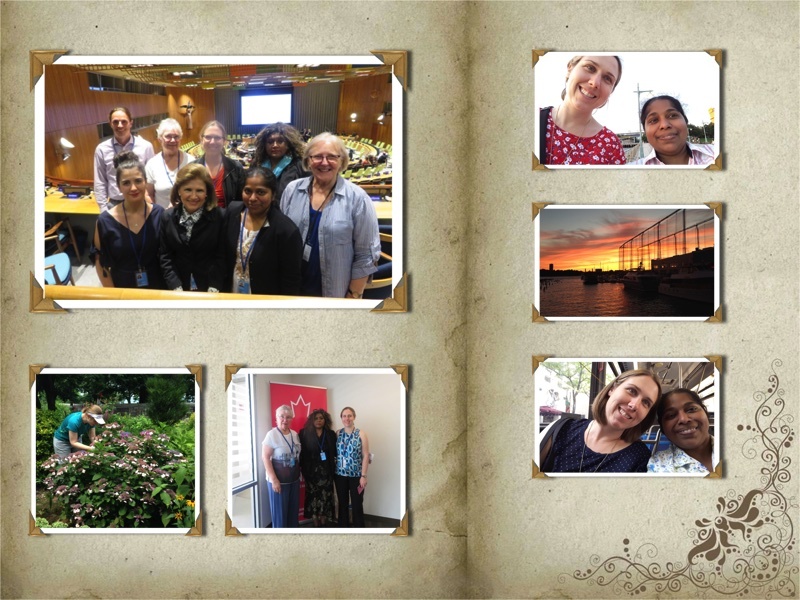 The blessing of friendship through my time spent with Cynthia, Cecilia, Veronica, Nancy, Mary, Sheila, and other friends met through the UN. The blessing of adventure through all of the fun Cynthia and I had exploring the city together (Kabbalat Shabbat at B’nai Jesherun synagogue, kayaking on the Hudson, yoga in Central Park, Amateur Night at the Apollo, Auburn Seminary, America Media – and going to a taping of The View with Veronica) and the chance to re-visit places here that I love (91stStreet community garden, Zabar’s, the Met Museum, Cathedral of St. John the Divine, St. Francis Xavier parish, 9/11 memorial). Each day I have encountered a God of abundance. A God who is generous and gives unexpected gifts. 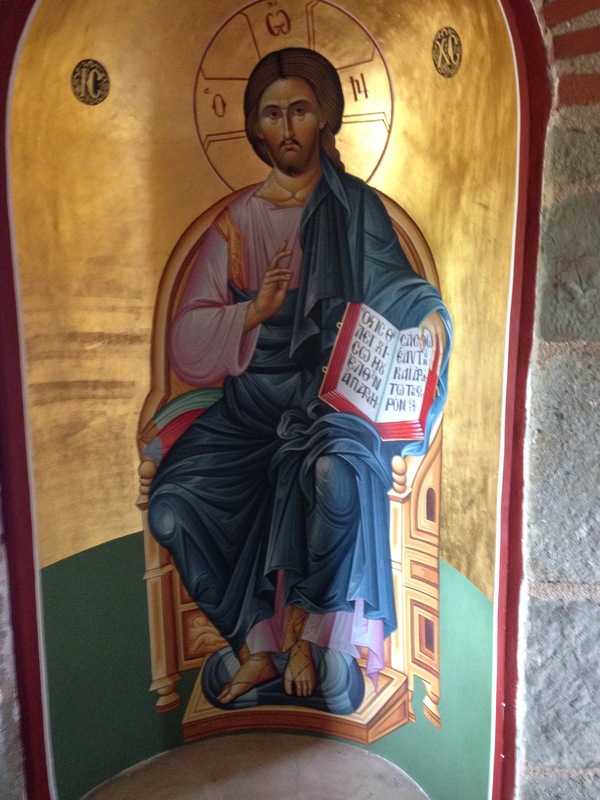 And a God who gives hope and courage amidst the sufferings of the world – hope and courage to keep working to create the conditions for God’s grace to work through. I want to end this post with a beautiful prayer Cecilia shared with Cynthia and I yesterday as we had a debrief of the HLPF. Written by Bl. Oscar Romero in 1979, it captures perfectly what we are about. 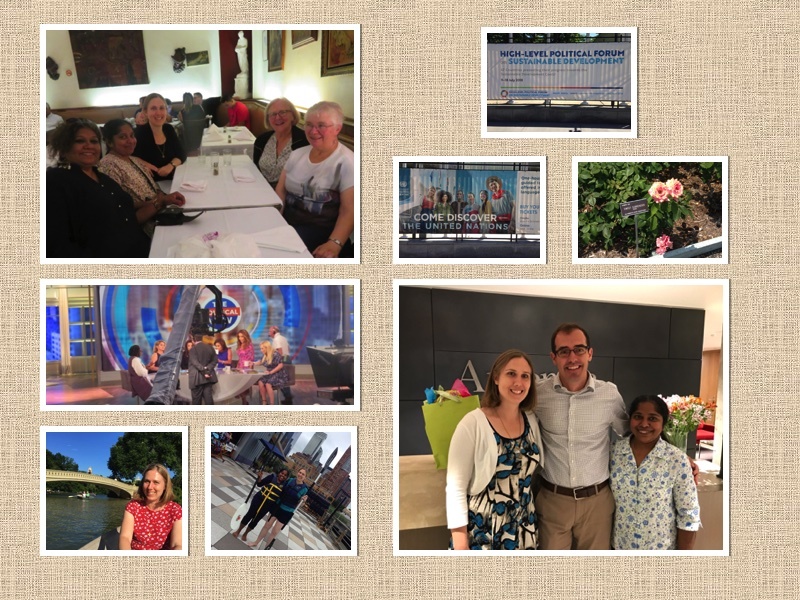 Categories: Ignatian Spirituality, New York City, Temporary Vows, Travels, United Nations | Tags: #HLPF2018, #IBVM, #IBVMatUN, #MaryWardWomen, #UN | Permalink. Thinking and writing at the intersection of faith and culture. We focus on both sacred and secular issues, and everything in between, because God does too.